Majrooh Sultanpuri and Dada Burman were both born October 1, 13 years apart. Dada was born in 1906 and Majrooh in 1919. Destined to come together and create magic for music lovers in Hindi cinema, they partnered in 20 films from 1957 to 1976, leaving behind unforgettable gems that continue to shine brighter as the years pass by. A journey down some of their eternal melodies as a tribute to the twin birthdays today. Across Germany, and in many other parts of the world, the October Fest is celebrated with beer or lager and free willing music. It has its roots in the setting in of fall weather with farmers going in for fall and winter crops that would not need them to toil as hard in field as they did all summer through. For me, a person who survives on music, my October Fest is celebrating the season of the partnership of Majrooh Sultanpuri with SD Burman through a pick of 20 + 1 songs. Together they gave us so many superb reasons to celebrate. 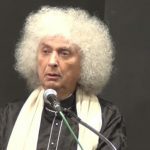 Majrooh was a poet of all seasons, he could write on the demands of the screenplay and situation and on the pre-set tunes of the music directors with deft. He could get as deep in human emotions as there can be or get as frivolous as we shall see in our first selection. He was introduced to Dada Burman (S D Burman) when Sahir Ludhianvi’s exit created a gap in Dada’s music room. Paying Guest (1957) was the first film they came together and registered an instant hit, paving way to a trend for many more to follow. 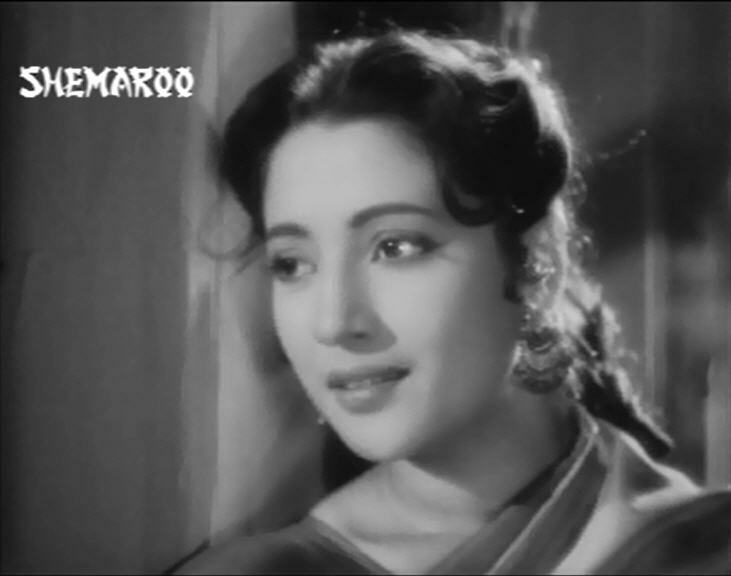 Carrying on with the masti, Majrooh got a full exposure to exploit the unique chhed-chhad mood poetry in Vijay Anand’s debut venture Nau Do Gyarah, also in 1957. Enough to alarm the puritans, how can one ask anchal mein kya ji and have a reply as gazab ki hulchal! It was as much a bomb shell in its time as was Choli ke peechhe kya hai, many years later. But the difference was in the class of the lyrics, the usage of the song, its picturisation and the music. Majrooh was confidence personified about the success of the song as much as his ‘partner in crime’ Dada Burman was. And when the two got together in their pure masti, the outcome was excellent songs that are relished to date providing endless joy. And this one by Asha and Kishore, already mentioned above. 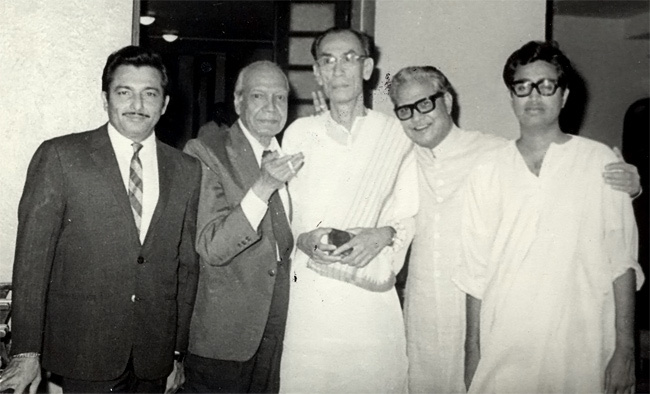 Majrooh Sultanpuri and Dada Burman were both born 1st October, 13 years apart. Dada was born in 1906 and Majrooh in 1919. Destined to come together and create magic for music lovers in Hindi cinema, they partnered in 20 films from 1957 to 1976, from Subodh Mukherji’s Paying Guest to Hrishikesh Mukherji’s Arjun Pandit (released after Dada Burman’s death). It was sheer masti and magic again when they created another duet with Asha and Rafi to go on Madhubala and Dev Anand in Raj Khosla’s Kala Pani (1958). The entire chemistry worked wonders and on screen it was just an unparalleled masterpiece. So poignantly said, Hum na rahe to yaad karoge, samjhe! None of the contributors are alive anymore, yet the magic lives on. 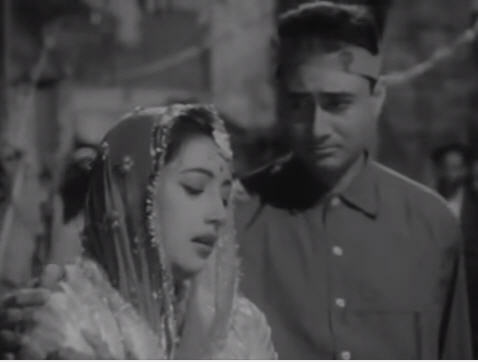 On Madhubala, the magic of Majrooh with Dada Burman was most effective in Kishore Kumar’s Chalti Ka Naam Gaadi (1958). Haal haisa hai janab ka? Listen to ‘Baajoo…. Babu, samjho ishaare’ and you can picturise the three harum-scarum brothers in the madly driven jalopy. The fun lyrics are loaded with meaning! There is no parallel in the history of Hindi films to Ek ladki bheegi bhagi si. 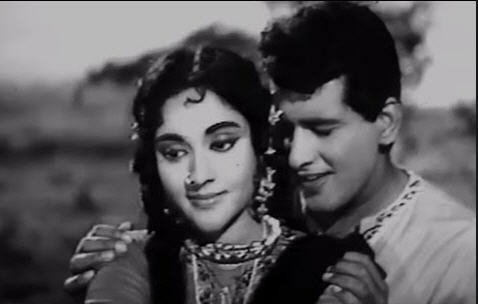 In its conception, its delivery, unique lyrics, situation and the acting, not to mention the superlative music, the magic of Kishore and the ever-so-beautiful Madhubala is unique. An auto mechanic is singing and using his tools as musical instruments. His lyrics reflect his world of tools and nuts but the naughty chhed-chhad is spot on! Dada Burman was known to be one who composed all his tunes first and then asked the lyricist to accommodate his concepts, words, emotions into the song as the situation demanded. Majrooh was a poet first, yet he learnt the art to play with words and mood quickly and come out brilliantly. As Majrooh Sahab had explained to me in an exclusive conversation, “I had a great understanding with Burman Sahab and his son. You can say, it was all a matter of home (ghar ka sa mamla thha). Dada had a good knowledge of shayari too. He may not perhaps get the correct meaning of a particular jumla, but he would very well understand the entire ghazal or nazmor geet. He used to be almost in a trance when making a tune, sitting comfortably, never in a hurry. 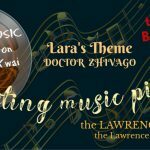 He would even say, ‘Muzroo (he called me Muzroo), this line is not fitting into the tune, please change it.’ We used to sit for hours together working and on one song he would end up trying out scores of tunes, sitting right there. Coffee, tea and paan would be in steady supply. He never smoked but his son Pancham indulged in it. 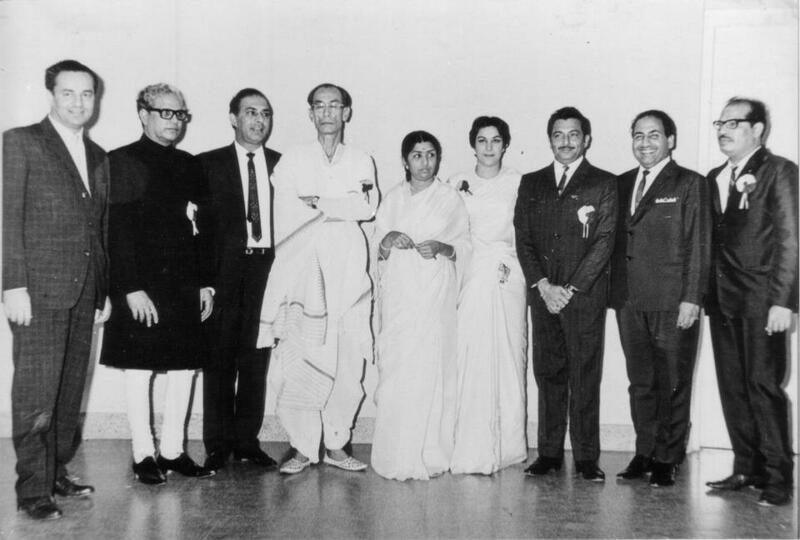 If the music lovers from early fifties vouched for the Sahir-S D Burman team, their counterparts from sixties vouched for Majrooh-S D Burman team. Sure, Dada was well matched with others as well such as Shailendra, Hasrat Jaipuri, Shakeel Badayuni, Anand Bakshi, Neeraj, Yogesh and many more. So was Majrooh too, equally adept with other music directors such as Roshan, Madan Mohan, Chitragupt, O P Nayyar, Lakshmikant Pyarelal and R D Burman. But the Majrooh-SD Burman team had a unique edge of its own. One more from 1958 before we move forward. The quintessential Hemant Kumar/Dev Anand number from Solva Saal, another Raj Khosla film. Indirect chhed-chhad this time. 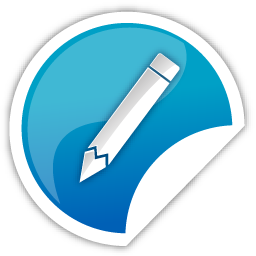 A topper of popularity charts that remains as popular even today. 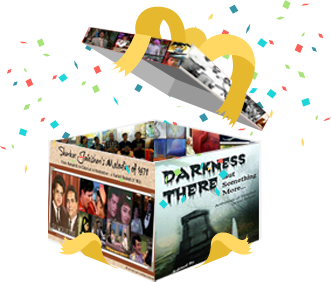 This one Dada created as a special gift to showcase son, RD’s excellence at harmonica. The exquisite Na tum humein jaano in Baat Ek Raat Ki was one of the biggest hits of Hemant Kumar on Dev Anand. The softness of the composition and the rendition made it top song of the year. Being a tandem, there was a Suman Kalyanpur version, equally sweet, though not as popular. Let’s hear this sugary sweet number. Magar lagta hai kuchh aisa, mera humdum, mil gaya. Manna Dey, in one of his chats with me, had confirmed that S D Burman would call a singer to listen to his or her voice and determine if it matched his new composition. Many a times he would also ask the singer to sing back the tune to him over the phone. 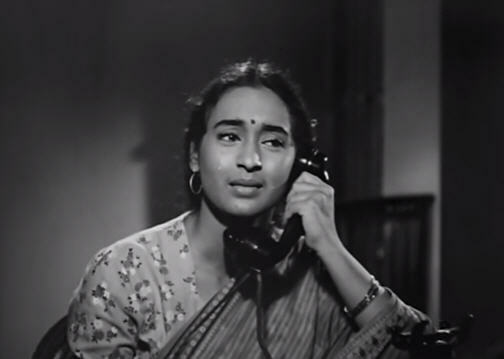 Through this test, he decided that Talat Mahmood was the most suitable voice for the Sujata song that was to be rendered on phone even in the film. That he convinced the director, Bimal Roy to include the scene and the song, is a story in itself. 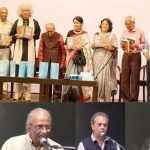 The song became a landmark, and just as Talat Mahmood had had a winner in Sahir’s Taxi Driver in 1954, as Jayen to jayen kahan, this Sujata number in 1959, has remained ever popular and loved one among music fraternity. Yun hi awara phirega ye teri zulfon ke tale. What imagery Majrooh had! Remember this was before poets like Gulzar came on horizon, the mood was already being set by the Majrooh. The third outing that Raj Khosla had with Majrooh and Dada Burman turned gold again. A classic film, much ahead of its time had an outstanding performance from Suchitra Sen. It was originally planned with Madhubala, but for various reasons, Dev convinced Suchitra to do it when Madhubala became unavailable. 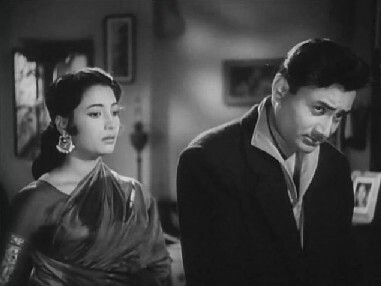 The excellent performances of Suchitra Sen and Dev Anand made Bombai Ka Babu a unique love story. The duo emoted each song with alacrity and deep pathos as the song required, lending it an extra edge. Chal ri sajani ab kya soche, kajra na beh jaye rote rote – (Mukesh). 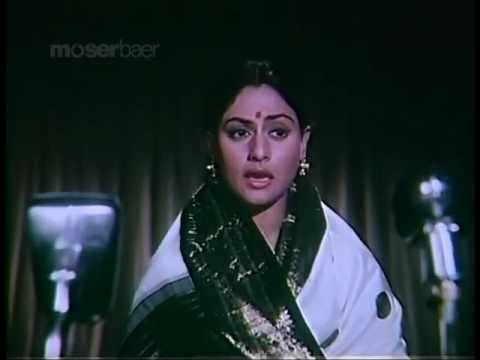 Easily, the most evocative bidaai song ever picturised as an unconventional denouement to the film as Dev Anand bids goodbye to Suchitra Sen.
And then this timeless duet by Asha and Rafi… Enjoy! Michael hai to cycle hai. Sitaron Se Aage had sparked the Lata-Burman rift. It was this song, Pag thumak chalat balkhaye, haye, Sainyan kaise dharun dheer that Dada was reportedly not happy with the final version and Lata Mangeshkar did not show up for a re-do, for whatever reason. It created a rift that lasted 5 whole years until Bandini’s Mora gora rang leile. 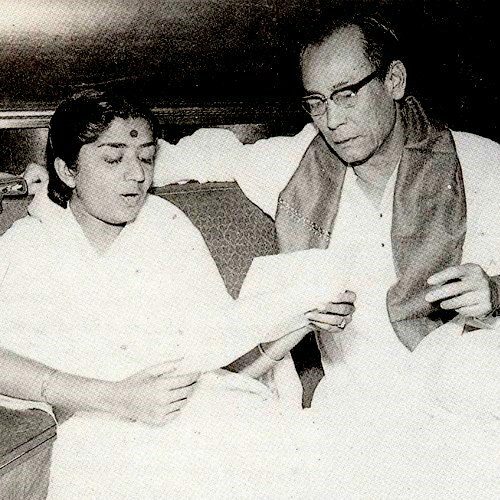 Later, Dada Burman in better days with Lata by his side again, re-used the Pag thumak chalat balkhaye composition in Guide (1965) in one of his class creations in Saiyan beimaan, mose chhal kiye jaaye. But the film had other beautiful songs as well. Recall Chanda ki chaandani ka jaadu and Roye jiya, aan milo more piyaa (both by Asha Bhosle), Dil le gaya, gham de gaya, ik tujh sa sanam, tere sar ki kasam, zaalim bilkul teri tarah (by Geeta Dutt) and Johnny Walker song (by Rafi) Sambhal ke ye duniya hai. In 1958 Majrooh had pre-warned us about the changing social fabric in Sambhal ke ye duniya hai nagar hoshiyaaron ka, idhar aankh jhapkayi aur, udhar maal yaaron ka. Let us visit the original Pag thumak chalat balkahaye and enjoy it in its raw flavour. 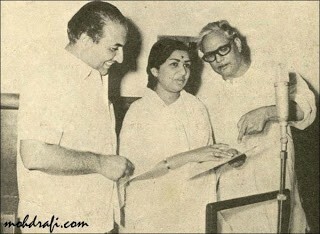 Lajwanti had Asha now giving playback for Nargis, as Lata was out of Dada’s recording room. But the result was fantastic and super hit. Koi aaya dhadkan kehti hai, and, Gaa mere man gaa tu gaa mere man gaa and Kuchh din pehle ek taal mein kamal kunj ke andar are all hits remembered even today as some of Asha’s best songs. These were the times when Asha received some of her career’s best training and guidance that stood solid with her all her life. Majrooh wrote dheere se palkon ki ye girti uthti chilam kehti hai, koi aaya dhadkan kehti hai. He was to let the Palkon ke peechhe expression resurface a few years later again. Dr. Vidya had that ever popular Lata semi-classical Pawan diwani that Lata had pleaded Dada to compose on his Bangla Alo chhaya dola as she had fallen in love with it. Lata also had the sweet Khanke kangana bindiya hanse. Mukesh registered a hit, Ae dil-e-awara chal, phir wahin dobara chal, yaar ne deedar ka waada kiya hai. Jaani, tum to dole, dagaa daike by Lata in Dr Vidya, is a rare instance of reverse route being taken by Dada Burman. 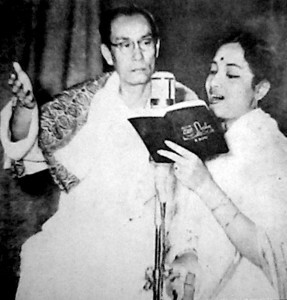 Going against the practice of replicating his own Bengali originals in Hindi, Dada Burman used Geeta Dutt’s honey and sugar voice to record it first in 1957 in Bengali (Jaani, bhromora kaino magan hoy na ) for the shelved film Gauri and followed it up with his own non-film Bengali version in 1961, finally turning it into Hindi in this Lata number. Majrooh’s lyrics retained the delectable ‘Jaani’ as the first word in the Hindi song – although the meaning is different in the two languages. In Bengali ‘jaani’ means ‘I know’ and in Urdu it means ‘my beloved’. A masterstroke! Manzil was based on a singer’s success story and Dada in full mood used three singers – Rafi, Manna De and Hemant Kumar, successfully on singing star hero Dev Anand. Remember, he used the voice that best justified the delivery. Evergreen were Yaad aa gaeen wo nashilee nigahein (by Hemant), Dil to hai diwana na, mane na bahana na (by Asha-Rafi) and a rare experiment in recitation-singing done so uniquely by Geeta and Rafi, that it never fails to mesmerize listeners with its sweetness. After the super success of Guide, the Anand Brothers had signed Shailendra again to write for Jewel Thief (1967), but destiny had other designs. 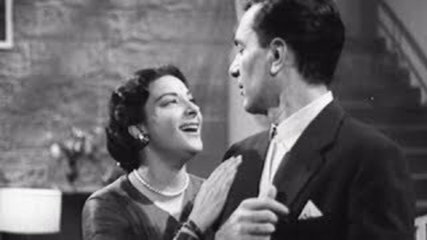 Shailendra’s untimely death meant Majrooh had to step in. Not surprisingly, Majrooh came up with exceptional lyrics to make the project a hit, like always. Each song is memorable and a delight even after half a century has gone by. Ye dil na hota bechara (Kishore Kumar), Aasman ke neeche hum aaj apne peechhe (Lata-Kishore), Dil pukare, aare aare aare (Lata-Rafi), Raat akeli hai, bujh gaye diye (Asha Bhosle sings those outstanding pitch variations with elan), Baithein hain kya unke paas, aaina mujhsa nahin (Asha-Kamal Barot), and this ever impressive, Lata (with Bhupinder) wonder in creative composition with awesome orchestration. Just notice the instrument Dev Anand plays – sheer originality! In quick succession to Guide came Amarjeet’s Teen Deviyan in 1965. One of the first of its’ kind to have one hero with three heroines, it was a joint effort behind the camera by Amarjeet and Dev Anand. After a gap of some four years Kishore was back in the recording room of his mentor Dada Burman and gave one of his career’s best song in Khwaab ho tum ya koi haqeeqat, reminding listeners that he was still a force to reckon with and was ready to strike big. And went on to give a hit duet with each, Lata and Asha, Likha hai teri ankhon mein, and Arre yaar meri tum bhi ho gazab. Music collector, dance guru, journalist and writer, V A K Ranga Rao narrated to me an incident. 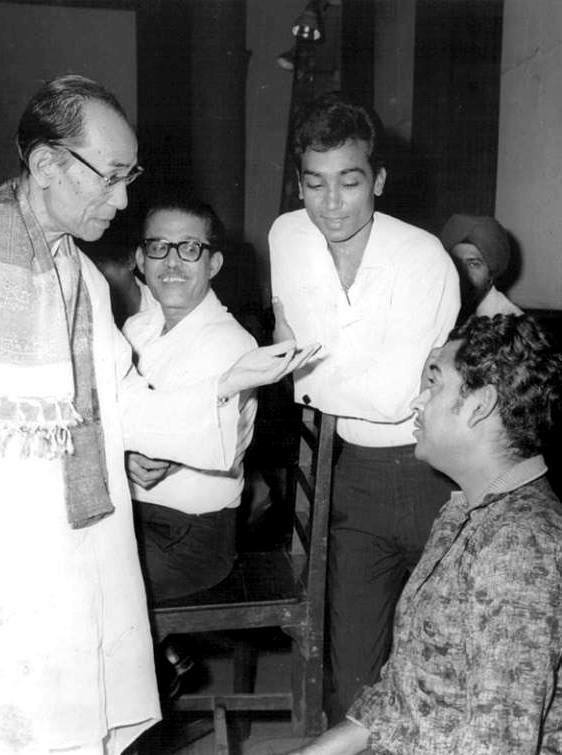 A success event was being held for Aradhana in Madras and VAK had the opportunity to talk to S D Burman. Among other things, he asked, how could Dada, who had done an Aradhana, compose a ‘flat and unimpressive score’ like Teen Deviyan. Burman was a bit surprised, but replied, that he never knew which of his scores would be a hit and which would not. He composed all his tunes with equal dedication and care, and then placed them before the producer (or director) to pick and choose from. It was their choice. For Dada they were all equal efforts done with complete love and creativity. That people liked some and did not like others was always there as part of business. Final decision was always with the producer or director. VAK personally may not have liked the score of Teen Deviyan. But the audience loved it, making the album an ever memorable one. “A completely “Joie de vivre” feeling both in the words and the orchestration… SDB again leaves his unique Phantom Skull Mark in this one. The Group Violins frenzy for 0.6 seconds after which the Bongos, Chakolas and Castanets create the effervescence for the next 12 seconds with sharp violin staccatos till three Guitar strums shut them up. Now see how he ends the antara with three different sounds – one castanet shot, one dholak thapi and one bongo stroke. All in 2 seconds from 0.32 to 0.34! This is wizardry! Now the last interlude begins with a short Piano followed by an aggressive Acoustic Guitar and somewhere at 3.11 he brings in his favorite Flute. The historical hits, Aradhana and Talaash, both released in 1969, placed Majrooh and S D Burman on top of the popularity charts. O P Ralhan had a jubilee hit in Phool Aur Patthar earlier, but was in for a pleasant surprise when not only did his Talaash become a huge hit, it brought him a higher share of profit from the music/records sale of this film. It was rumoured that his brother-in-law, Rajendra Kumar had suggested to sign in S D Burman for the project, and that in all sittings to finalize the songs, Kumar was always present. Son, R D Burman was assisting his father in this project, and it was here that Kumar decided that when his son, Kumar Gaurav would be ready to be launched, he would sign RD Burman for the venture. Once again Lata, bought out an earlier Bangla hit of S D Burman, Shonogo dakhino hawa prem korechi aami, requesting Dada for a Hindi version in Khayi re humne kasam sang rehne ki. I remember hearing Lata Mangeshkar reveal this on a TV show by host Tabassum that she would listen to S D Burman’s Bangla songs and in an effort to imitate them and request Dada to compose the song in Hindi for her. With superb Majrooh imagery and Dada composition, here’s Palkon ke peechhe se duet from Talaash. Hmmmm, Palkon ke peeche se kya tumne keh dala phir se to farmaana. The crowning glory for both Dada Burman and Majrooh was Abhimaan. With Ishq Par Zor Nahin (released in 1970, though started some 7 years earlier) Anand Bakshi found favour in Burman camp. Also in 1970 with Prem Pujari poet, Neeraj came into Dada’s music life. Both were to partner with SD on a number of hit projects. Piya bina baansiya baaje na – a Lata Mangeshkar gem, shot beautifully with Jaya Bhaduri giving one of her career best performances. Din hai soona, sooni ratiyan, Piya bina piya bina lage bansiya, baje na. Bhatakte hain tere hi naina, main to kuchh na bolun. Sajan, nindiya le legi, le legi, meri bindiya. Dekho kahan le jaaye, bekhudi apni, Ho, Ab to hai tumse har khushi apni. Meet na mila re man ka. Did he really match Dada’s composition in each creative step? Sure he did, moving the story forward through the lyrics. Take away a song from Abhimaan and you lose a critical link. These songs are not fillers, they are the story itself. You won’t find this too often in Hindi films. Read a detailed analysis of the song Nadiya kinare heraaye aayi kangana here. Rajinder Singh Bedi’s ambitious project and a disappointing flop in 1973 was Waheeda Rehman and Dharmendra starrer Phagun. The Asha-Kishore number had its share of the chhed-chhaad with “kya karte ho, kya karta hoon?” incorporated in kab mane arre dil ke mastaane, samjhane ko aayen chahe Allah miyan bhi, kab mane. But the composition that was unique was the Dada Burman creation of the phaag. So true to its concept in original the way a phaag is sung, it was an effort that got lost as the film washed away. Lata at her best, Dada at his creative best and Majrooh capturing the true essence of the festival in his words. It was SD Burman who could have matched a Kishore to sit pat on Dilip Kumar. Some sort of history in the making for Hindi film music. But that Burman did. In Upar wala dukhiyon ki naahi sunta re by Kishore, Dilip butts in with Soya hai, bahut jaaga hai na. Just notice the way Burman could gel the voices so effectively. This was for Tapan Sinha’s Sagina in 1974. Again, SD had summoned Majrooh to write the lyrics to match the mood of his songs and screenplay. There was the above mentioned song and then the riotous Saala main to Saheb ban gaya. Majrooh took the liberty of penning Soorat hai bandar ki phir bhi lagti hai albeli, kaisa Raja Bhoj bana hai mera Gangu teli. One does not remember many Dilip Kumar – Majrooh outings, but Burman being in charge here, no one could make him change what he wanted. The tune for the bold duet Tumhare sang to rain bitayi, kahan bitaoon din was restructured from SD Burman’s Jeevan Jyoti (1953) Shamshad beauty Saari khushiyan saath aayin aap jab aaye. It was rare of Burman to repeat his tune from films but it seems this tune was a somewhat favourite of his, as he also used it as title music piece in 1957, Miss India. Their final partnership was in Sanjeev Kumar’s Arjun Pandit. One Lata song, Bolo preetam kya boli thhi main, aage re was a sweet one that emerges as a pleasant memory. The film got delayed in the making and released after Burman had bid his final adieu to this world. In music history of our Hindi film world, some combinations have gained immortality and certainly the Majrooh-SD Burman duo have now become part of film folklore. Chaahat ka labhon pe jaam aane de, yahi pyar ka hai zamaana. Listen to these melodies again and again. They don’t make such gems and such men any more in this world. What a glorious journey through memory lane! Your last line says it all! They don’t make them like that any more! Wow! 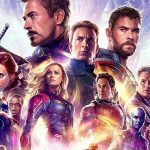 What a masterpiece of an article. With Sachinda and Majrooh together creating magic, Peeyush ji does full justice in writing, adding to that magic. I will have to go through the article a few times to fully enjoy and cherish it for ever. Thanks Peeyush ji, and thanks Antara for bringing these gems to us. Kya Moti Bhai, what is this ji with my name? Your blessings and attachment does wonders helping me write. I am waiting for your research based write up eagerly. People have commented about the use of orchestration and chorus by Naushad, Salil etc. But just look at two songs of SDB/Majrooh… “Chalri Sajni” and “Ga Mere Man Ga”. Even as straight songs they are good. But with the wonderful chorus and Asha’s magical humming (both creditable to Dada’s genius) they become enhanced 300%!! Anilda once told me the same thing about his Hemant song “Keh rahi hai zindagi” in Jalti Nishani – how he felt dissatisfied until he added the terrific chorus which made the song a classic. You are so right, Bharat ji! 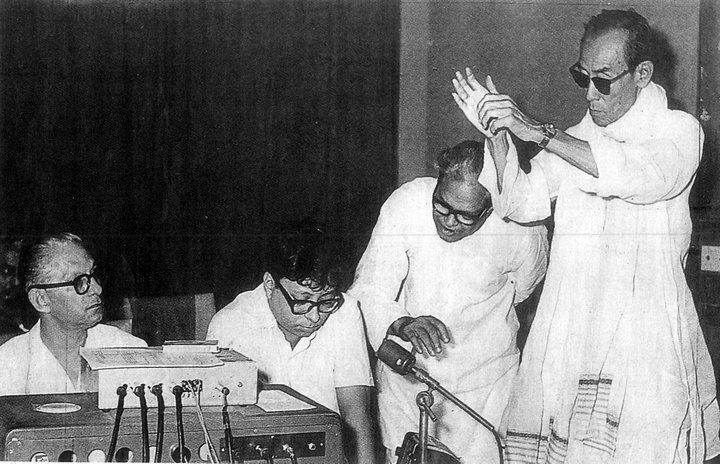 The use of orchestration and chorus is unique in Burman Dada’s music. In fact, when Peeyush Da and I were developing our presentation on the Bengal’s music and its influence on Hindi film music, the chorus is one area Peeyush Da focused on, quoting VAK Ranga Rao ji. We posed the question to another friend of ours who is a percussionist and music aficionado and he said the difference in the usage of the chorus by music directors from Bengal was that they applied the chorus as part of the rhythm. Not separate. Brilliance of SD Burman is seen how Bhupinder sings with ho ho ho and then the music blends with his voice in Hothon Mein Aisi Baat. Uff Kitni Tandi hai Yeh Rut from Teen Deviyan was brilliant. 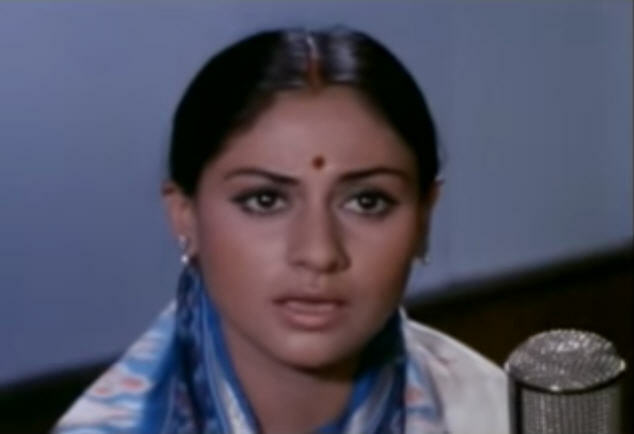 How lovesick Dev Anand and Simi Grewal’s restlessness is conveyed beautifully in the melody. The words san san san Jalta hai badan. Kampe hai Angdai Meri blends so beautifully. The beauty of combination of Majrooh Saab and Baba Burman was that it is hard to determine if the music was composed after the lyrics or vice versa. Such is their association. Baadal bijli chandan paani waisa unka saath. Thanks for lovely comments, Sriram. So true about Kitni thandi hai yeh rut.